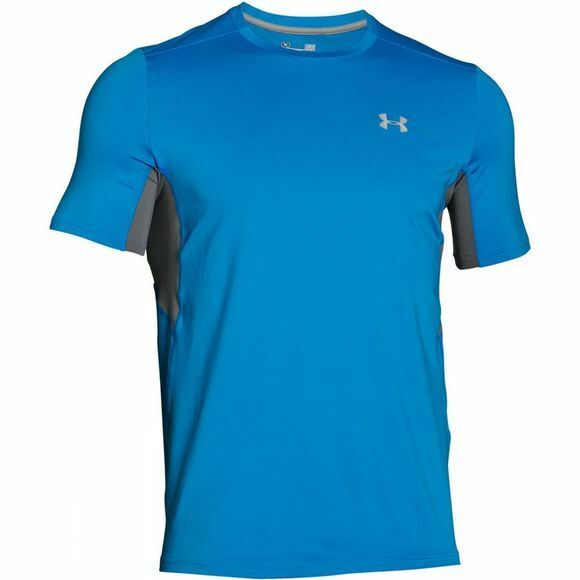 The Men's UA CoolSwitch Run Short Sleeve Top is excellent for high-intensity sports or activities, due to its technically created fabrics which literally pull heat away from your body to keep you cool and therefore able to perform longer. It includes mesh to ventilate and has a stretch for comfort. 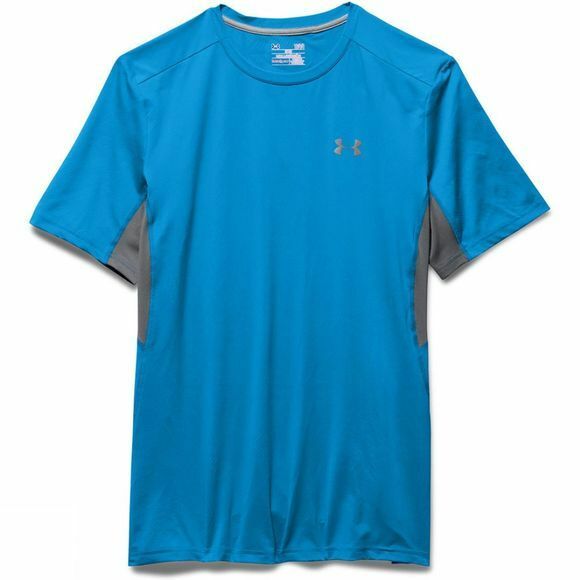 This tee is perfect for runnung or warmer temperatures because of it's ability to wick sweat away and reduce odour.